Home Digital Marketing How Will Logistics Companies Be Affected By Brexit? How Will Logistics Companies Be Affected By Brexit? The word on everyone’s lips this month: Brexit. With the deadline of the 29th March creeping ever closer, there is still little certainty about what the future holds. Will we have a hard or soft Brexit? Will we end up with no-deal? Will there be a second referendum? Currently, we don’t know the answer to these questions. The uncertainty is leaving business owners, particularly those of logistics companies, struggling to understand how Brexit will truly affect their operation. Here, we explore the potential impacts of Brexit for logistics companies who operate on both sides of the English Channel. The UK heavily relies on the import and export of goods. Currently, the UK is a part of the European Free Trade Association, providing access to the single market. This allows the UK to trade with the 27 other countries who are part of the association, with no tariffs or restrictions. In 2016 the UK imported £318 billion of goods from the EU and exported £235.8 billion to the EU. If Brexit results in the UK being excluded from the single market, tariffs will be applied to goods entering the UK from the EU, making them more expensive. In addition, export prices will rise. Both will affect the logistics industry. Customers of parcel delivery services may face the brunt of these rising costs as companies will most likely have to start charging more than before. Brexit will inevitably impact movement across borders. Currently, UK and EU citizens can move freely across Europe with stress-free border controls. This will likely change, with stricter rules brought in. The Road Haulage Association (RHA) states that “the Dover Strait handles 10,000 lorries each day and processing them through the port is currently seamless.The stark reality is that if customs controls are put in place, it will take an average of about 45 minutes to process one truck on both sides of the channel.” The long waiting times will cause large queues at the border and may even result in hauliers having to wait days or weeks to return home. This could have a positive impact on certain logistics companies. 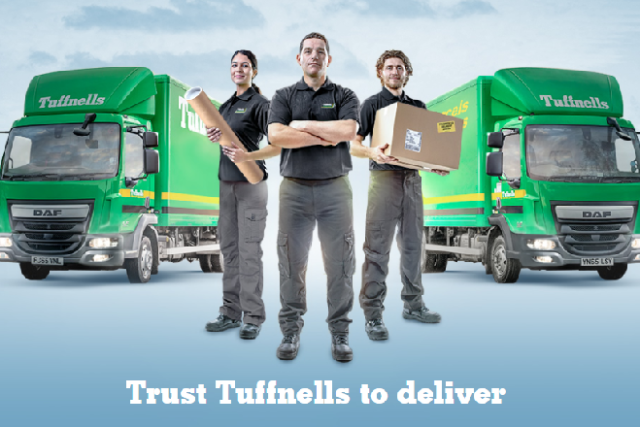 Those that offer specialist delivery services within the UK, may see an increase in demand, resulting in increased turnover and profits. This could have a positive effect on the UK economy. It is hard to predict exactly what the impact of Brexit will have on the industry. There are many possible outcomes, all having both positive and negative impacts on delivery services operating across the Channel. It is important that logistics companies create contingency plans that will allow them to continue operating with as little disruption as possible after 29th March.